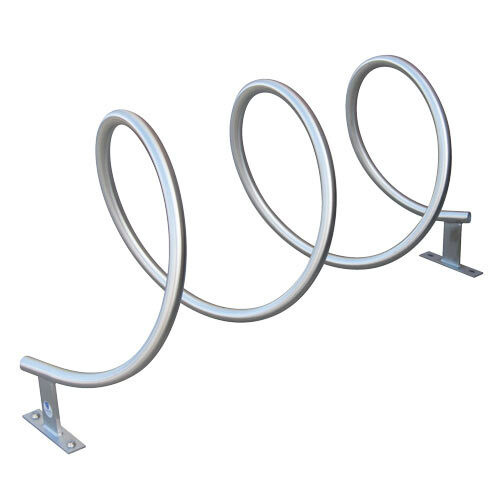 The Helix Rack is an attractive, double-sided, space efficient bike rack. For a stunning visual effect, several Helix Racks can be placed together to create a continuous spiral. 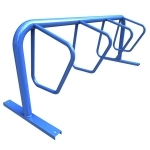 The curve and pitch of the Helix also makes it nearly impossible for thieves to cut with a pipe cutter.